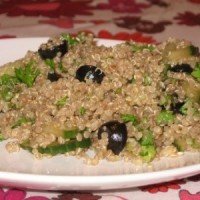 Cooked quinoa can be frozen which makes it perfect for a meal-prep. You can cook it on the weekend, freeze it and then just defrost as needed. 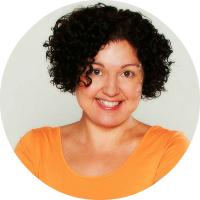 Just a few years ago, I had to go to a specialty health food store to buy quinoa. Now, it’s available in any grocery store and online. 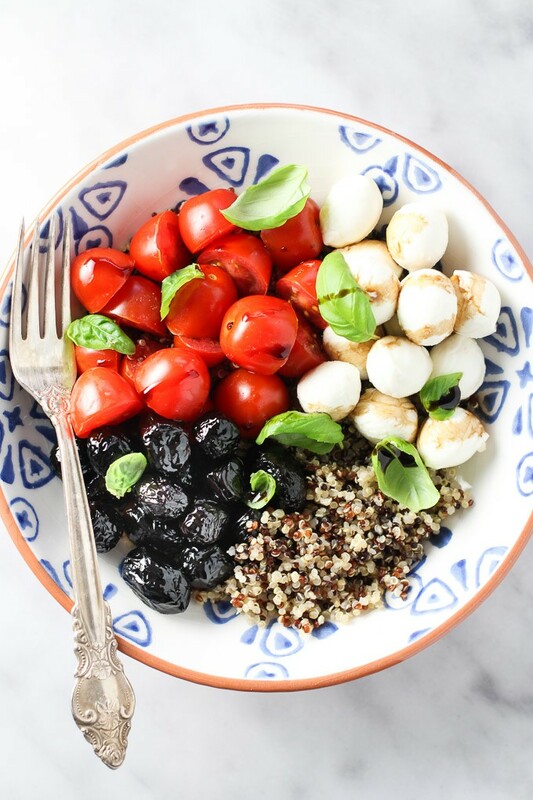 You can usually buy red, black, or white quinoa. 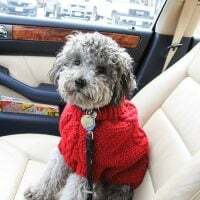 And it is also often sold as a tri-color blend. 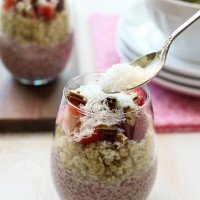 Here is the list of my favorite healthy quinoa recipes for spring. When you click the "Continue Reading" button, a new window will open where you will find the recipe and all the information you need to make it. I hope you'll give them a try! 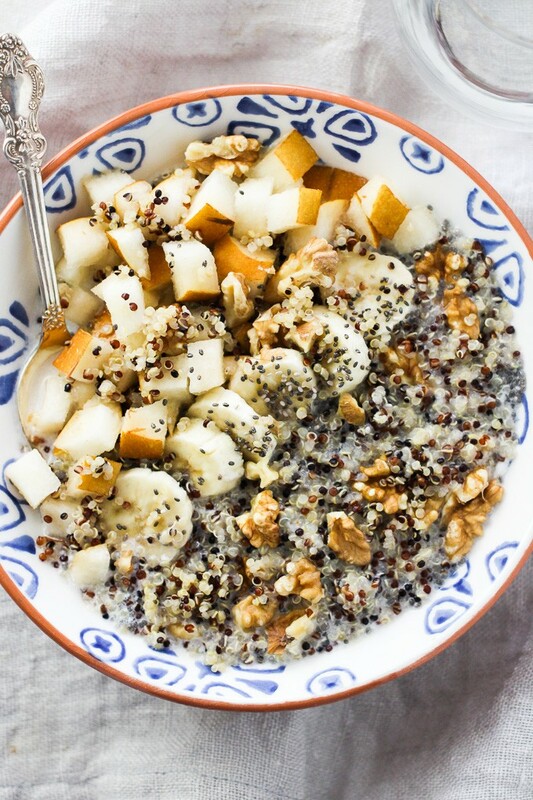 This quinoa bowl with fruit, walnuts and chia seeds makes a perfect breakfast. Eat it at home or take it to work in a jar. 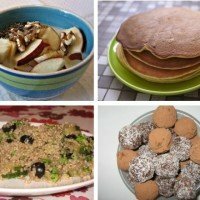 It's delicious, very quick to make, and you can easily adapt it to your health and taste prefrences. 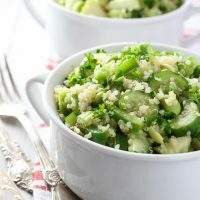 This green quinoa salad is full of healthy green vegetables. This salad is absolutely perfect for lunch because you can easily take it to work in a jar or a container. 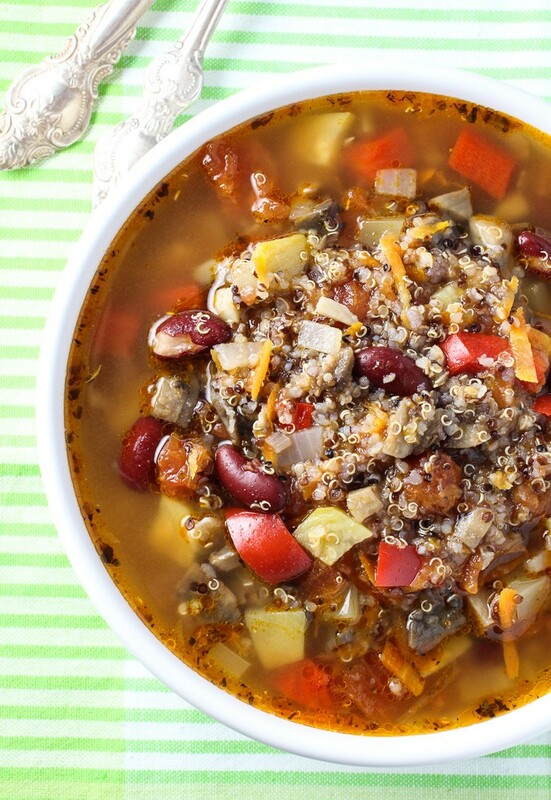 This mushroom and quinoa minestrone soup is perfect for spring! It's packed with vegetables and protein which makes it light and filling at the same time. 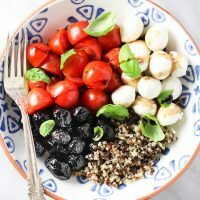 In this easy quinoa bowl you will find all flavors of the popular Caprese salad upgraded to a healthy and filling meal that you can eat for lunch or dinner. 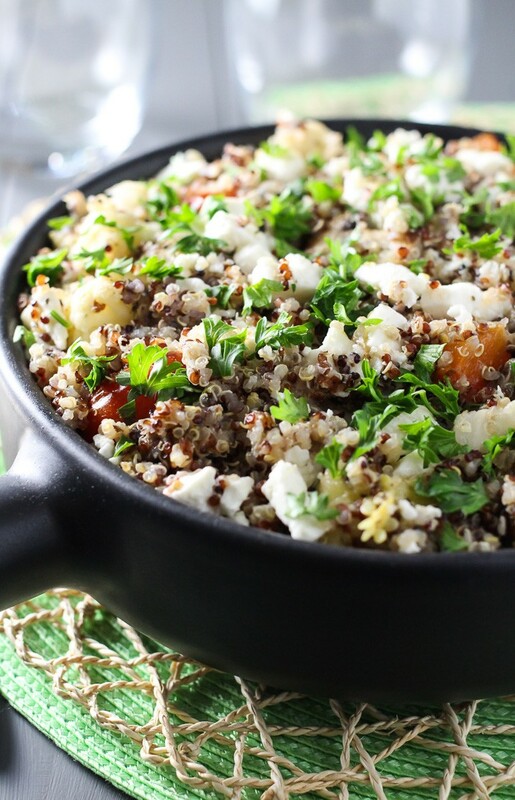 This vegetarian quinoa bake is made with roasted vegetables, olive oil, and feta cheese. It can be served as a main or side dish and tastes delicious hot or just slightly warm. 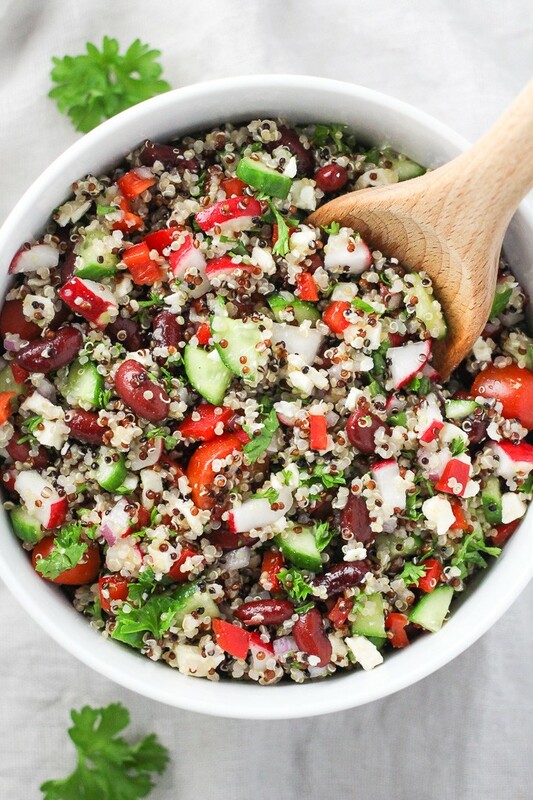 This Mediterranean quinoa salad is made with red beans and feta. 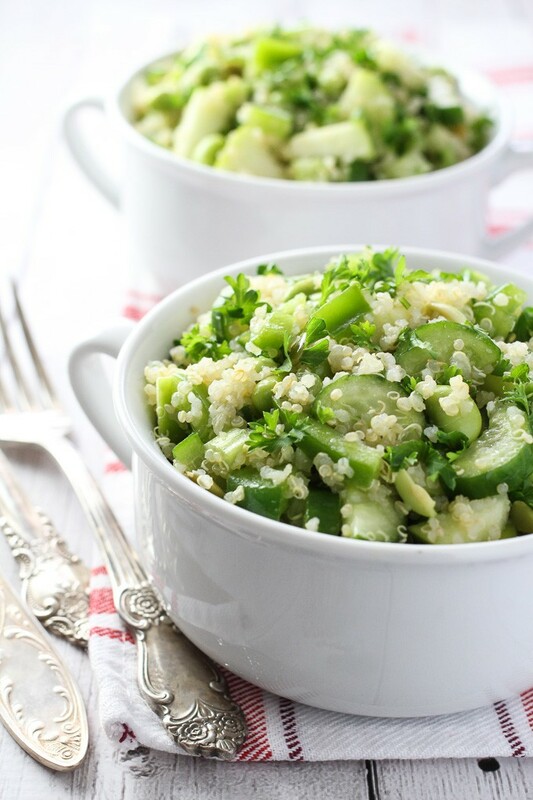 Enjoy it for dinner as a main or side dish or take it to work the next day for a healthy lunch. 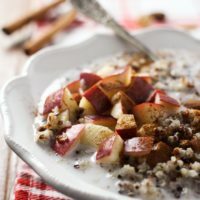 You can also easily adapt this recipe to taste and dietary preferences.